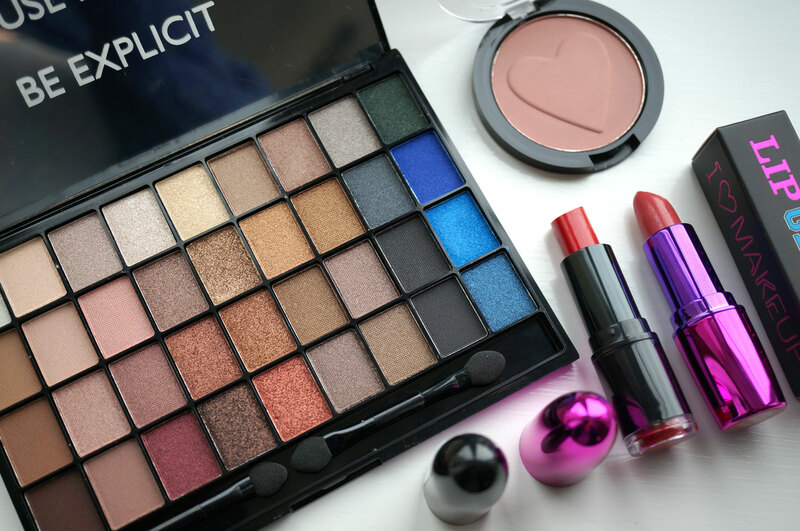 So here is my I Heart Makeup review post! 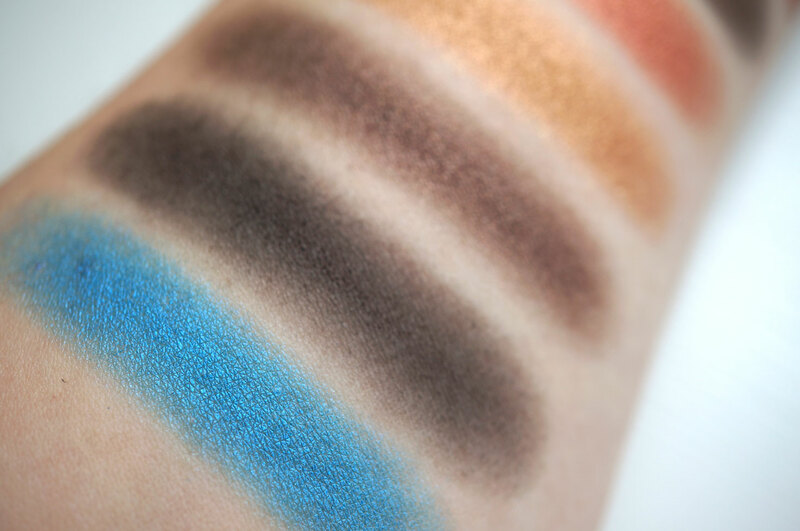 You may have seen my introduction post the other day telling you about the brand new division of Makeup Revolution. I Heart Makeup is different to Makeup Revolution as it’s classed as ‘fast fashion makeup’, so fingers crossed there will be exciting frequent new products on sale then! They very kindly sent me a selection of products from the new range to try out and play with, and here they are! I have the I Heart My Lips lipstick in Heart Attack, Lip Geek lipstick in Love The Confidence, I Want Candy Blush in Blushing and Slogan Palette in Explicit Content. 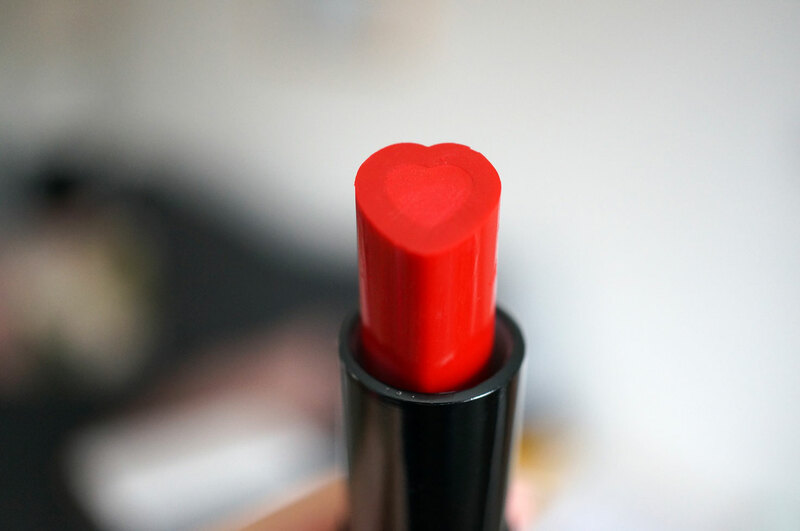 I Heart Makeup currently have two types of lipstick on sale. There’s the I Heart My Lips Lipstick, at £2.49 which comes is in a black casing and the lipstick itself is heart shaped with a lighter colour running through the centre. The other is the Lip Geek Lipstick, £2.99, which is ‘normal’ looking rather than heart shaped, and comes in a high shine pink and purple casing but this one also comes in a black box with embossed metallic lettering. I had a feeling the I Heart My Lips lipstick was going to be a bit sheer and balmy looking. I wondered if maybe this is because it kind of reminded me of a lipstick a little girl might have, you know the ones that are very sheer and not really a lipstick? This must be just because it’s heart shaped! Anyway this was not the case at all. You can see from the above swatch that it’s a gorgeous intense bright red colour. It has a satin finish and was also really moisturising and comfortable to wear. 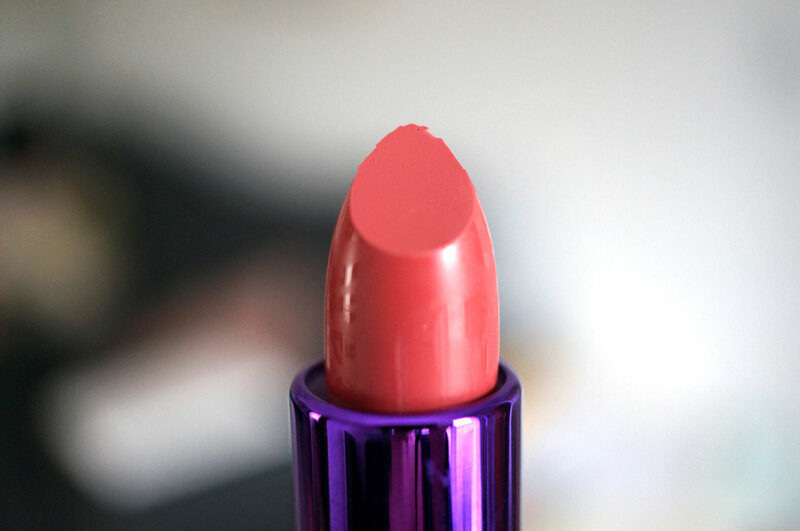 The Lip Geek Lipstick was not quite as moisturising and slightly sheerer, it also had the slightest hint of sparkle. 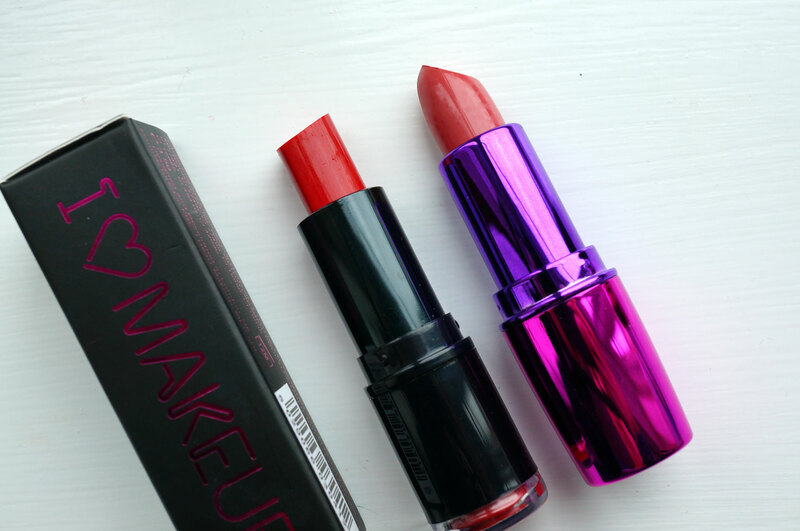 Both are great bargains at less than £3 each, but the I Heart My Lips lipstick was definitely a favourite for me. Next up is the blush. 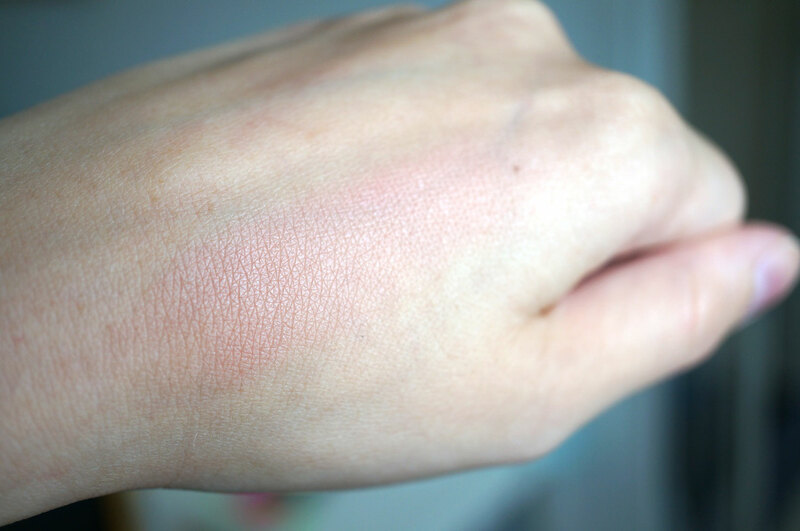 Now I’m not actually sure which blusher this is, it just says ‘Blushing’ on the back but I can’t actually see this shade on the website. So I don’t know if there’s been a mistake or if this just isn’t for sale yet. I’ll find out what’s going on and I’ll update this post! Anyway, I absolutely love this blush, it’s a light muted beige pink and it’s the perfect accompaniment to my Kelly Osbourne Jolly Good Mineralize Skinfinish! 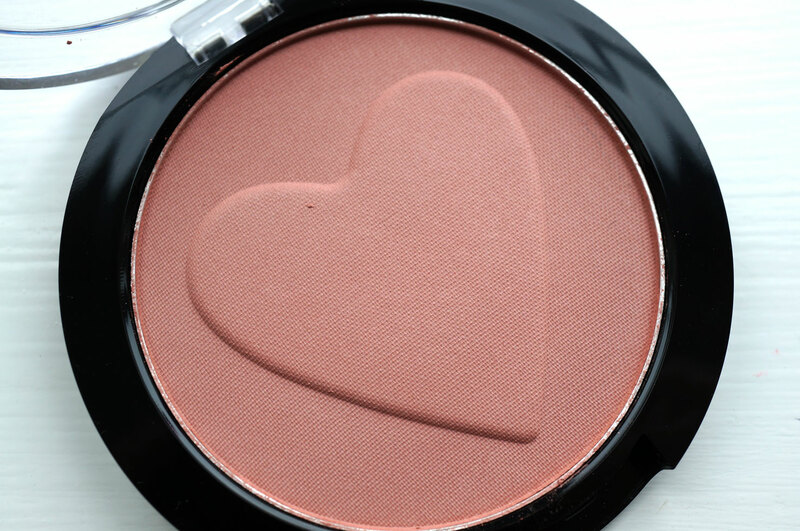 The blush in the Jolly Good compact is more like a highlighter, and this I Heart Makeup blush is just the perfect colour to wear with it, just like the MSF the finish is satin and gives a hint of glow which I love! 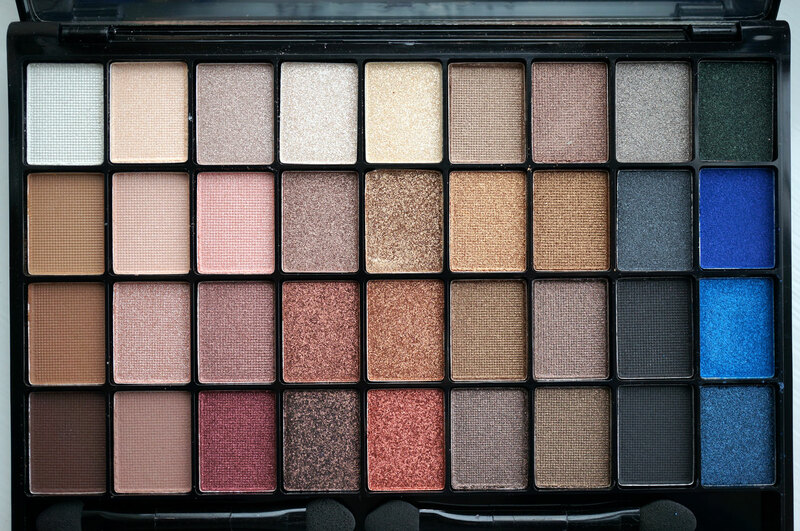 And now on my favourite item of the bunch, the palette! 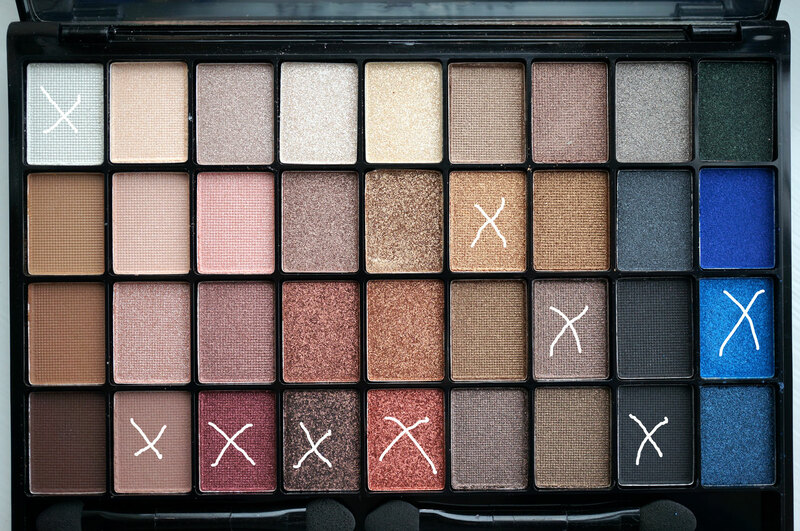 The Explicit Content palette is one of four ‘Slogan’ palettes. 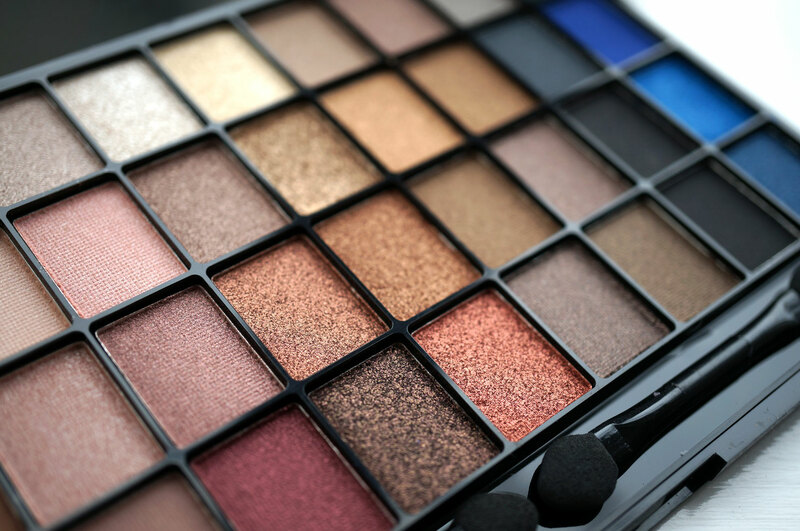 This one has a mixture of 36 matte and shimmer shades ranging from nudes to more intense colours and it costs £7.99. It’s worth mentioning the casing is pretty awesome too, if you tilt it backwards and forwards you can see different images! My initial thoughts were that this would be similar to the What You Waiting For Makeup Revolution palette, as it’s made by the same company. The matte shades weren’t so great on the What You Waiting For palette so I kind of expected the same with Explicit Content. 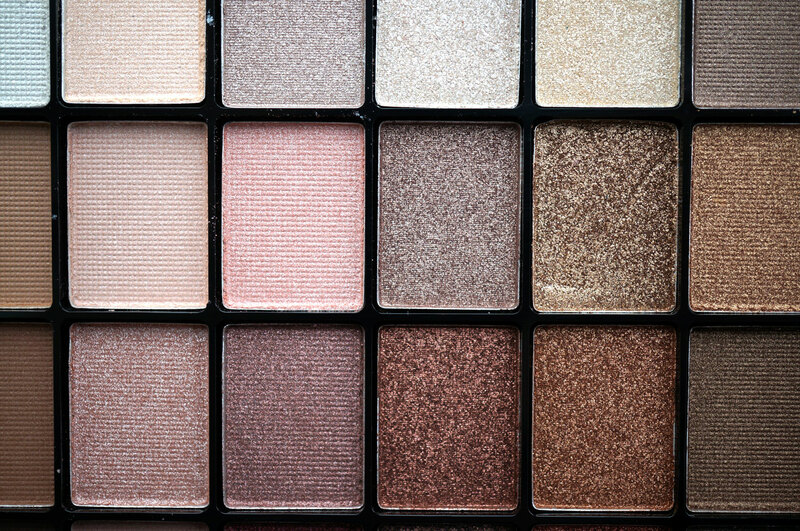 Luckily with this one though the majority of shades are shimmers, with only six of the shades having a matte finish. 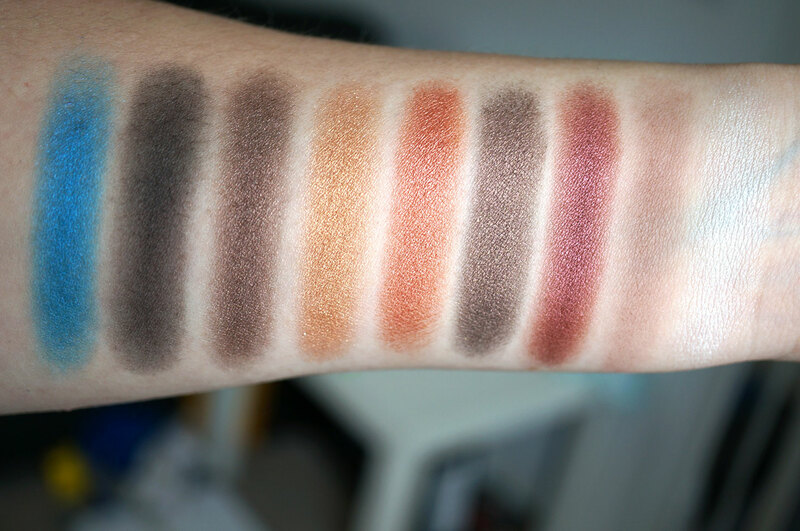 Ok so here are the swatches, and as predicted the shimmers were pretty much fantastic, and the mattes were unfortunately a bit of a let down. 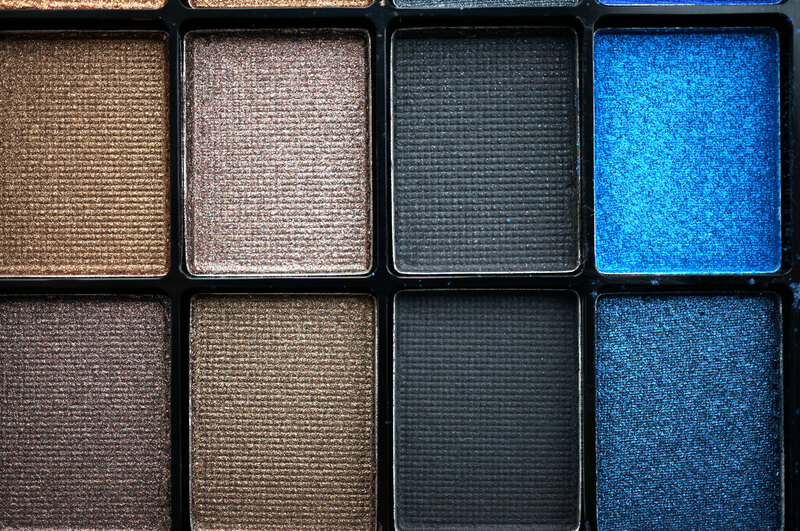 The shimmer colours were buttery soft and were so pigmented, you wouldn’t think they were from a budget palette at all. The mattes on the other hand were pretty chalky and hard to work with. Just look at that amazing burnt orange!! I can’t wait to try some looks out with these colours! So the only let down here are the mattes unfortunately, but at least there’s only six of them! 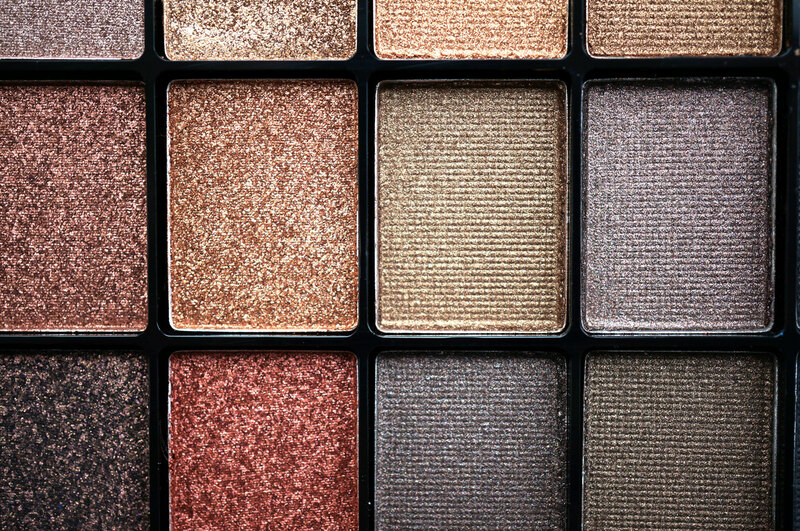 So you still have 30 great shimmer eyeshadows here for £7.99 – it’s still a fab budget buy! So what do you think about this little lot? Does anything catch your eye? New Launches from Winky Lux! 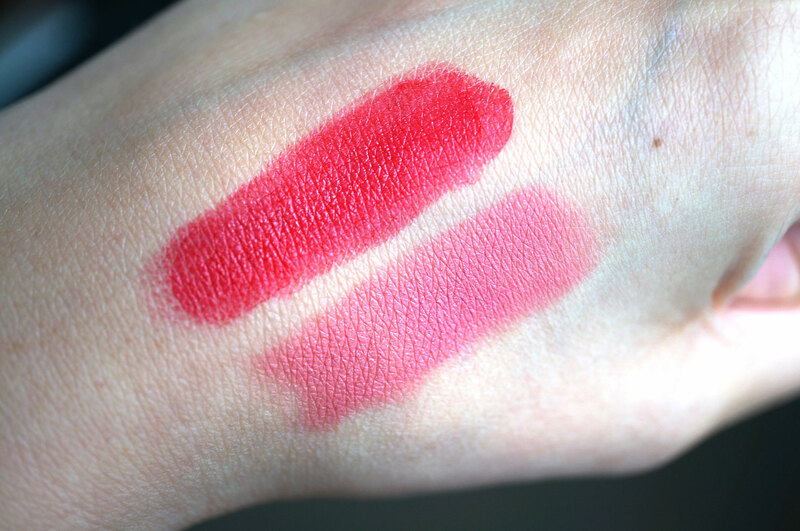 Both lipsticks are lovely, I love the heart shape! 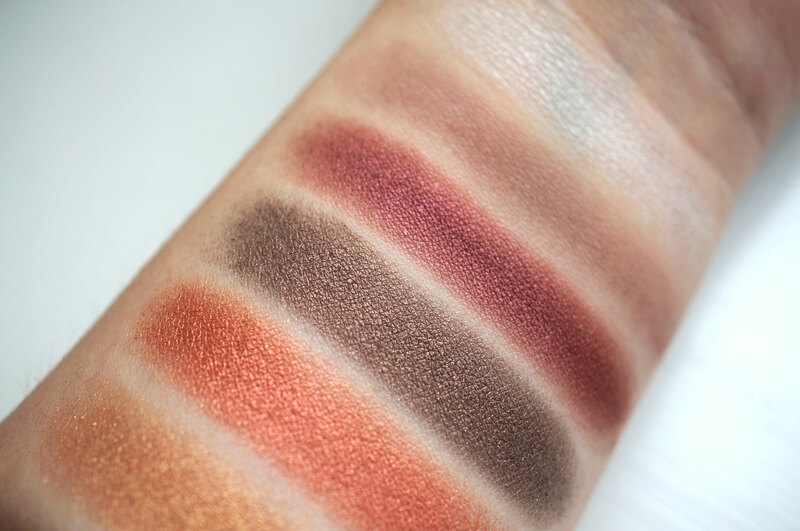 That palette looks amazing, especially for the price! !